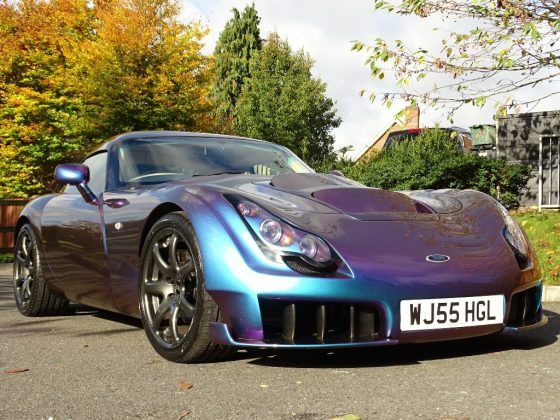 After a rather lengthy abyss TVR is back with yet another new owner, with a new car imminent next year. The details on the new model are rather scarce and of course, it’s not for sale yet. 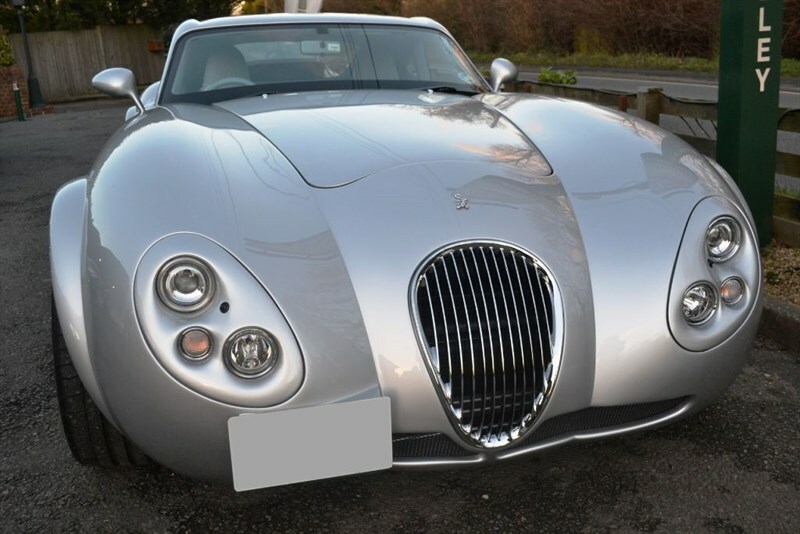 However, if you can’t quite wait until then you can look at one of the last cars the British marque produced before it went in to limbo, the Sagaris. 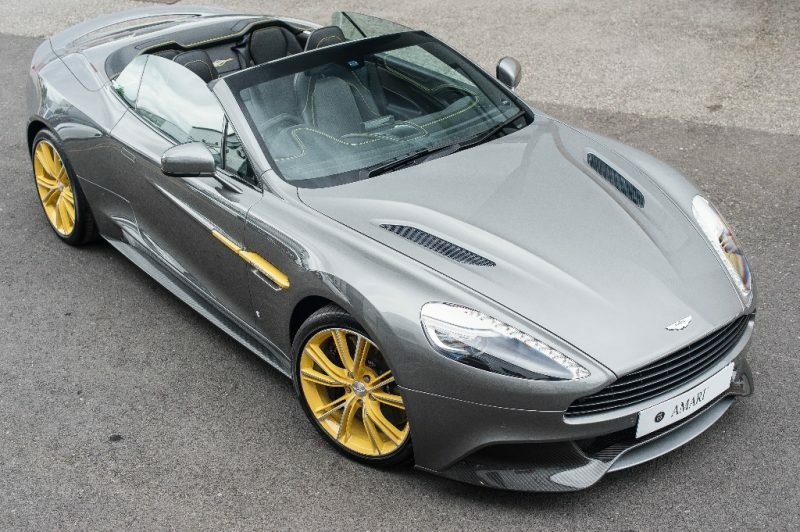 This is a car that is bonkers, brash and loud and you know what? It’s all the better for it. 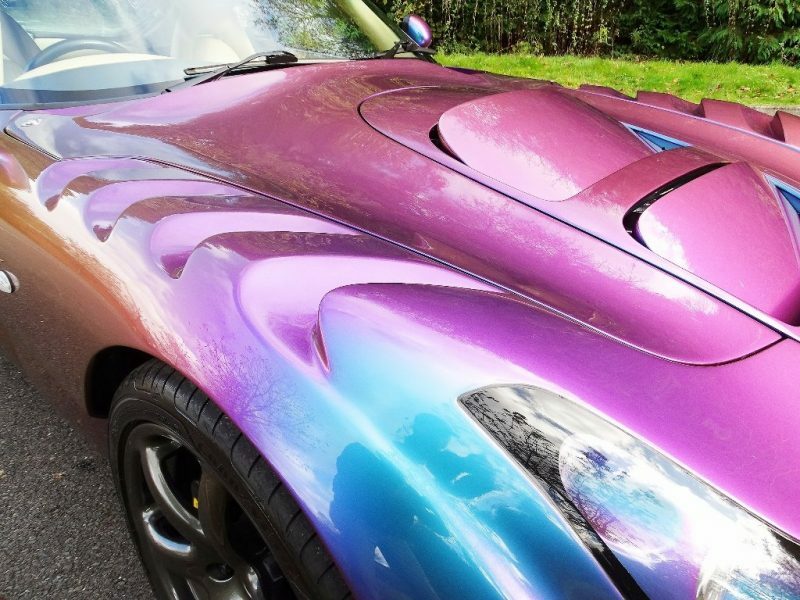 Where can I start with the Sagaris? 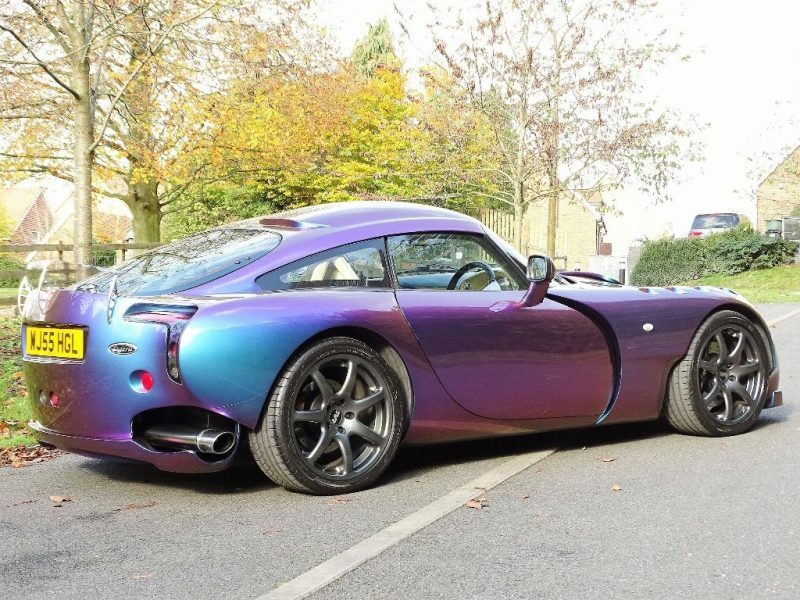 Maybe the 4.0 litre Speed Six engine or perhaps the sideways exhaust but what about that simply outrageous colour? 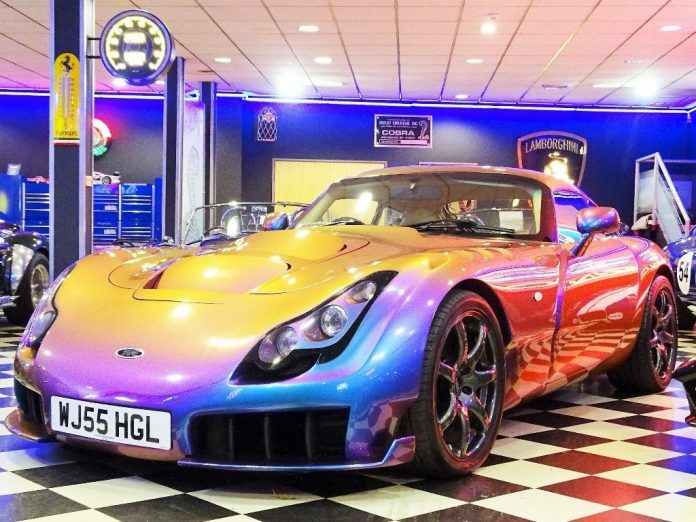 Thanks to its Reflex Cascade Pearl finish, this Sagaris is able to change colour depending on the light and it’s simply stunning. 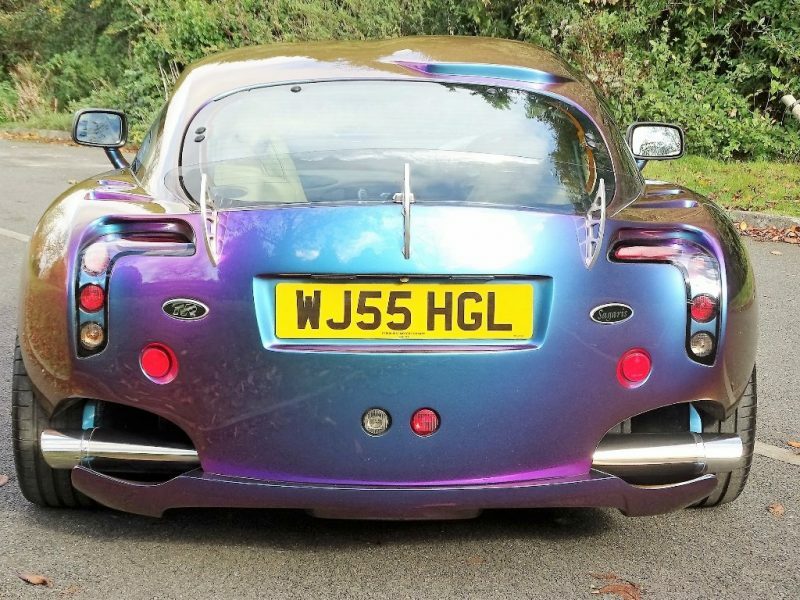 Other bold styling features include those massive sideways exhausts I’ve already mentioned plus that unusual transparent rear spoiler and those mad slashes on the bonnet. 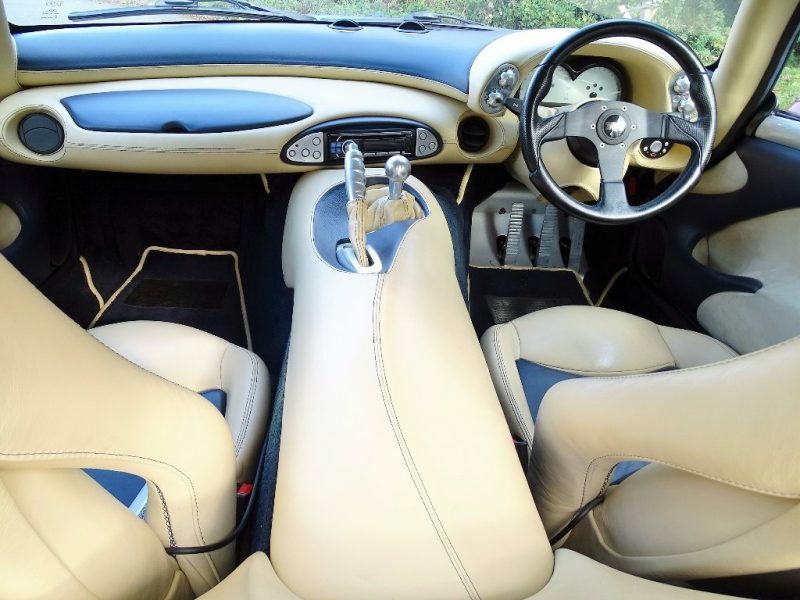 The inside is a bit more toned down though with a two-tone blue and beige design running throughout the car which is complimented by touches of aluminium. ​​But enough about design, what about the power (and noise)? The Sagaris is powered by 4.0 litre Speed Six engine that offers a healthy 400bhp which is mated to a 5-speed manual gearbox. 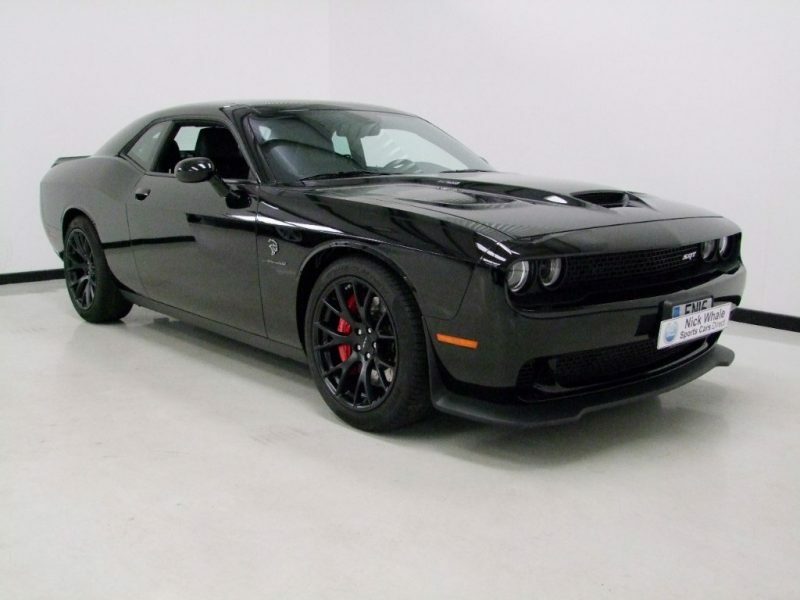 This means a 0-60 time of 3.7 seconds with a top speed just shy of 200mph. 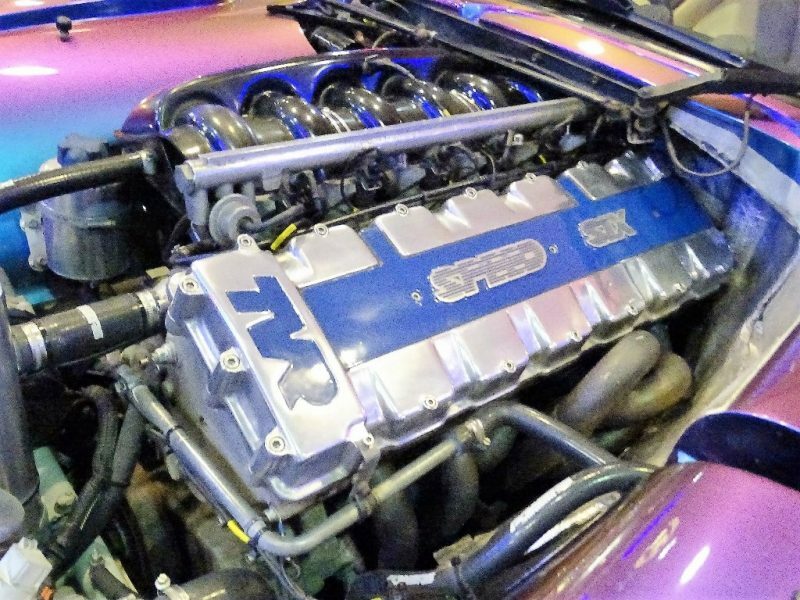 Be warned though, this car is as loud as it is fast, a true TVR trademark. 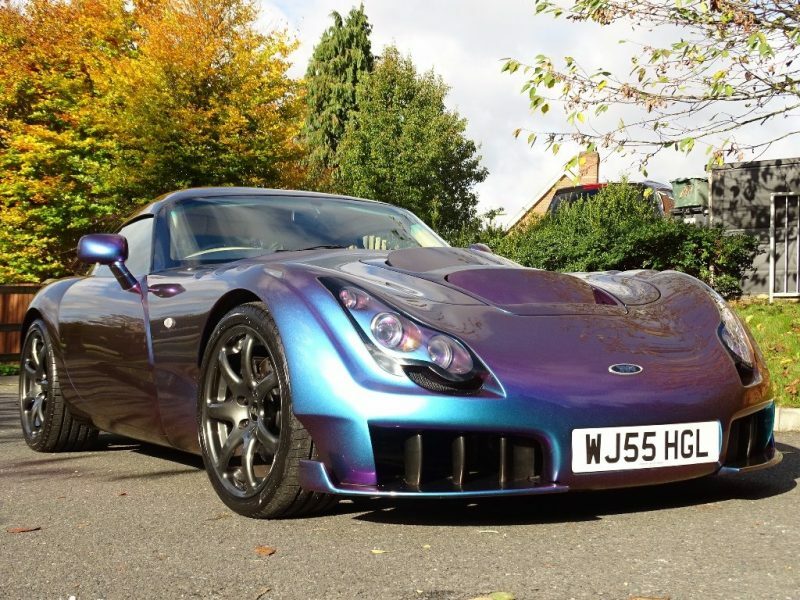 ​​This particular Sagaris is from 2005 and is offer for sale by Sovereign Car Sales with a total of 37,000 miles on the clock. 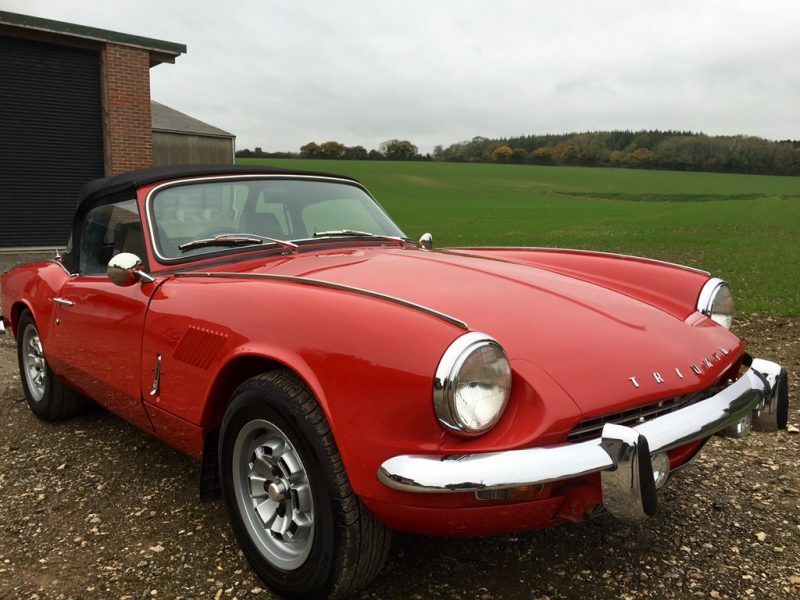 Coming with full service history, this thunder house of a British sportscar is on sale for a price of £67,995. 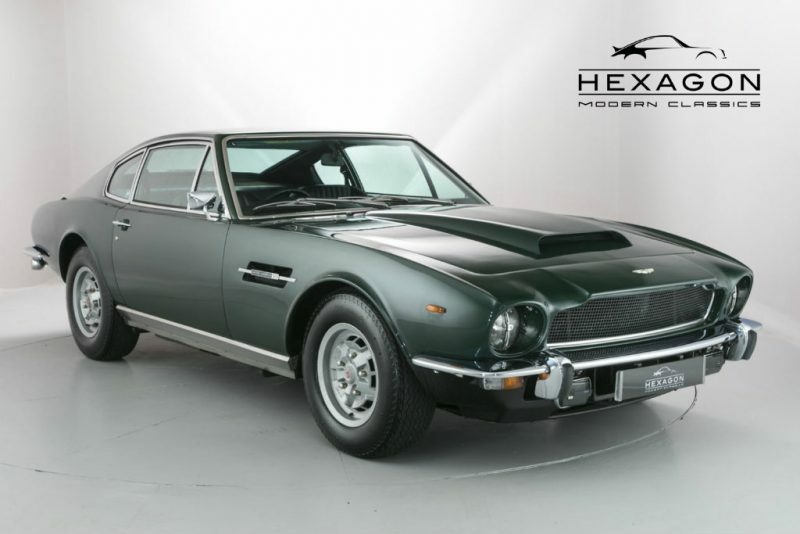 May seem pricey but this could be a future classic so who knows, it could appreciate. For more details head to Auto Trader and Sovereign Car Sales.